Made of silicone material,healthy and do not stimulate your skin. 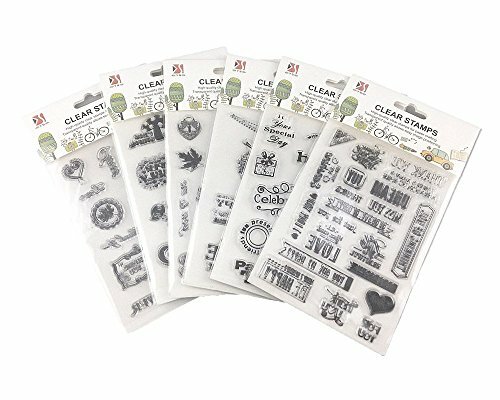 Reusable and durable friendly clear stamps. Perfect for holiday cards and scrapbooking as well as gift tags. Soft and flexible texture, good choice for home DIY. Making a unique and for unique gift for your dear friends, bring your friends a big surprise. Enjoy your DIY time. How to use: Step 1: Remove the stamp from the protective acetate sheet, Step 2: Ink up the stamp. Step 3: Stamp firmly onto your paper. Step 4: Can be cleaned up with water. Do you want to make DIY stamping projects? Our acrylic blocks can help you achieve it! Easy to clean: You can wash blocks with a wet towel or clean water and mild dish soap. Then dry them with tissue before using. Clear grips: Each block has clear grid lines, which can effectively help you locate and stamp. Please be reminded that there may be some slight differences between the color tone of the pictures and that of the actual items due to lighting effects, monitor's brightness and contrast settings, etc. Please clean and dry blocks before using them. 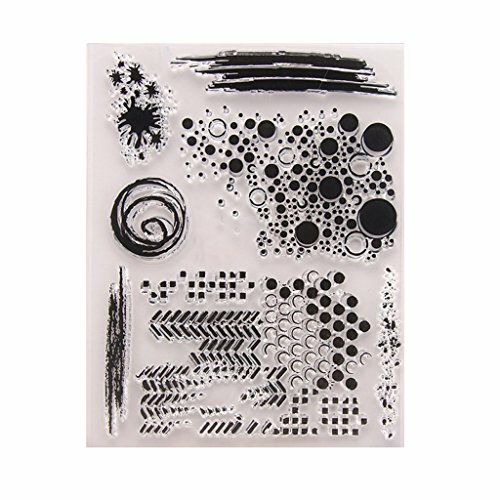 A rang of applications - They are ideal for stamping projects such as stamping on cards, notebooks, journals, invitations, clipboards, stamps, DIY, etc. 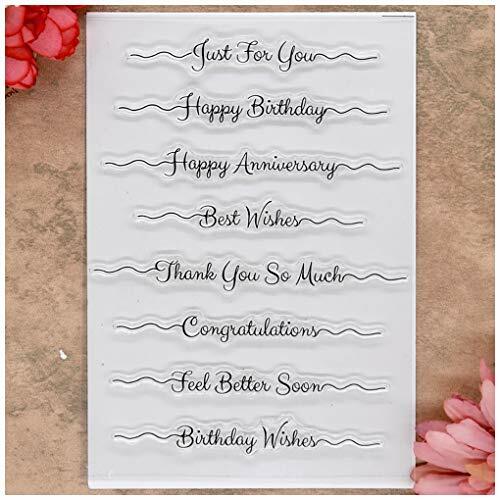 Design your envelopes, card, letter, diary and others. Cutting-papers/fabrics are easy to be cut and removed. Can be arranged and rearranged on stamp blocks in virtually. Doing a unique and for unique gift for your dear friends. 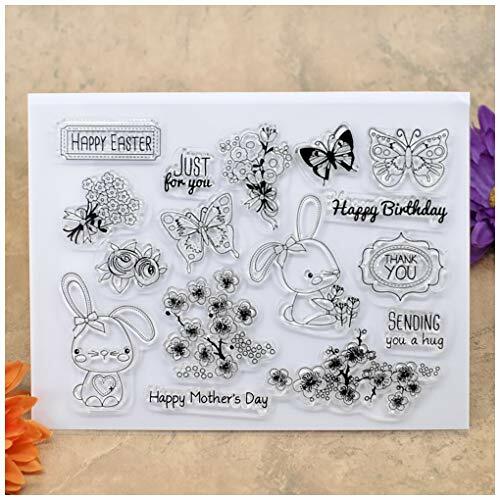 Stampendous Perfectly Clear Stamps are made in the USA of the finest polymer. 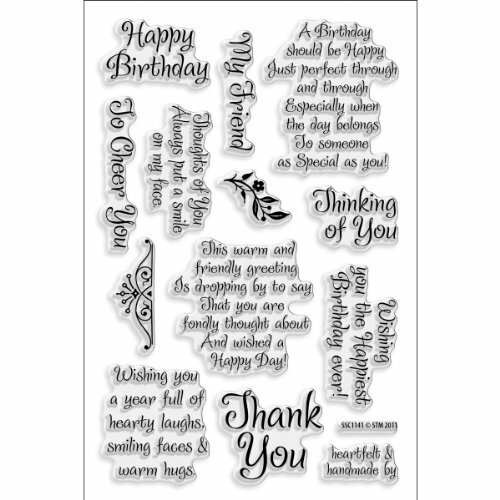 Created from the original and exclusive designs of Fran Seiford the stamp sets are designed for interactive use with several images provided as focal points, backgrounds and greetings in most sets. Available in an array of styles and sizes. Simply peel the desired image or images from the plastic carrier sheet and position on an acrylic handle as desired. The image will cling by itself, no need for any adhesives. Ink and stamp as you would a woodmounted stamp. Clean and replace image onto carrier sheet and protect with cover sheet when storing. Use these fun stamps to cheer up your planner, handmade cards, scrapbook pages and more! Work great with any inks and clays, on paper, fabric or whatever you wish to stamp on. Easy cleared. A clean stamp is a happy stamp! Keep your stamps happy with this cute Stamp Shammy. 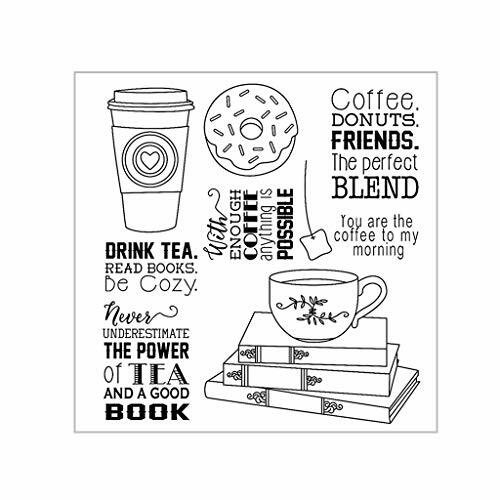 Stamp Shammy is a 5" x 7" reusable cleaning cloth. No special cleaning solution is needed. Just add water to throughly hydrate the cloth, then wipe your stamps for a perfect clean. 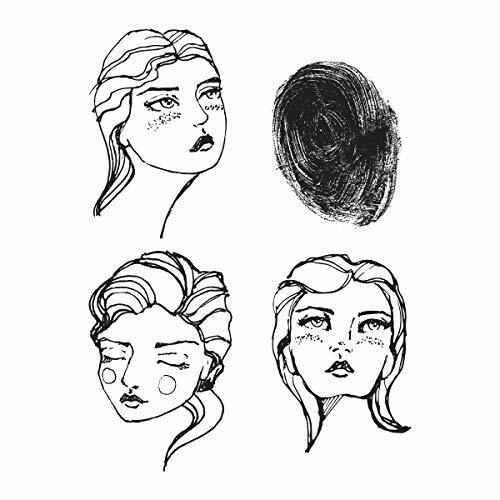 Stamp Shammy makes stamping crisp images and switching between ink colors even easier. It is the perfect tool for every stamper's craft desk! Care instructions: The shammy will dry out between uses, as well as get "inky" over time. Don't worry! Just add water to throughly re-hydrate the cloth, and it will continue to clean your stamps again and again, even if stained. High quality stamp blocks, sturdy and durable for long time of use. Easy to locate and stamp with the clear grid lines, smooth and comfortable to use. 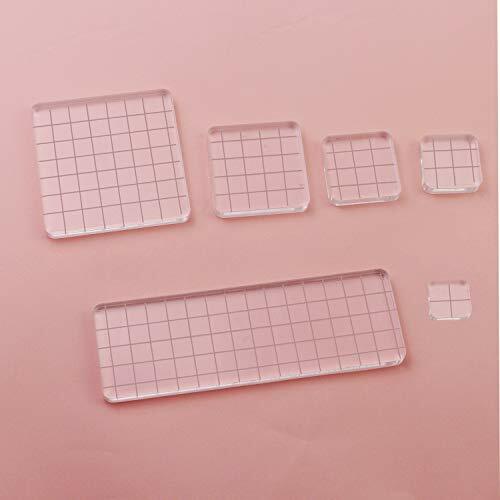 Package Content: 6 pieces stamp blocks with 6 different sizes including 7.5 x 7.5 cm, 5 x 5 cm, 3.8 x 3.8 cm, 3.1 x 3.1 cm, 2.5 x 2.5 cm and 15 x 5 cm. Each one is 8 mm in thickness. Note: these is protective cover to protect the stamp block from scratches, please tear off the cover before use. Innovate Design: designed with the clear grid lines on the one side to help you plan and design, besides, it allows other blank side to be positioned and applied better. Premium Quality: made of high quality Acrylic, strong and solid, sturdy stamp block, not easy to break, perfect for long time of use. Safe and comfortable to use, circular bead on the edge of the block, smooth and comfortable for daily use, safe to grip the blocks without worrying about hurting your hands. 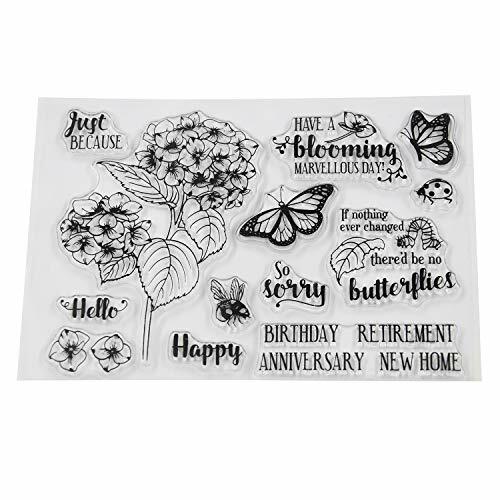 Wide Application: WeiMeet clear stamp block is ideal for stamping projects such as stamping on cards, notebooks, journals, invitations, clipboards, stamps, DIY, etc. This purchase gives you two sets of Stamp Simply Clear Stamps. 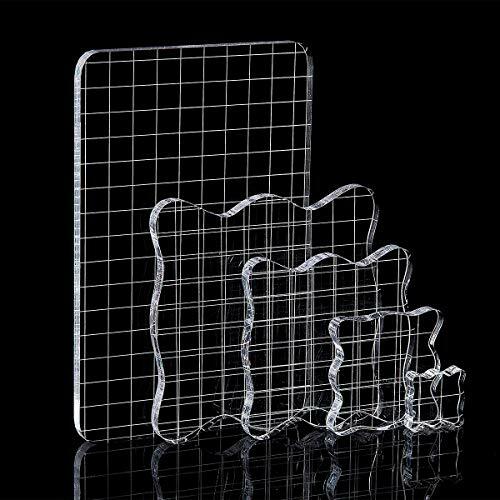 You will receive two 4x6 inch clear sets enabling you to create projects simply and beautifully. 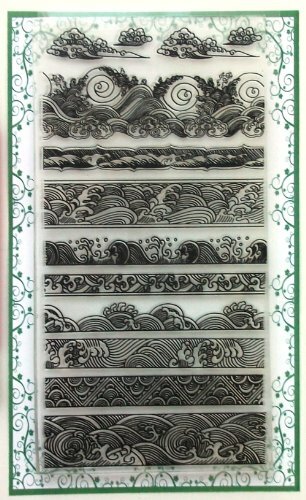 Perfect for cards, scrapbook pages or 3D projects. 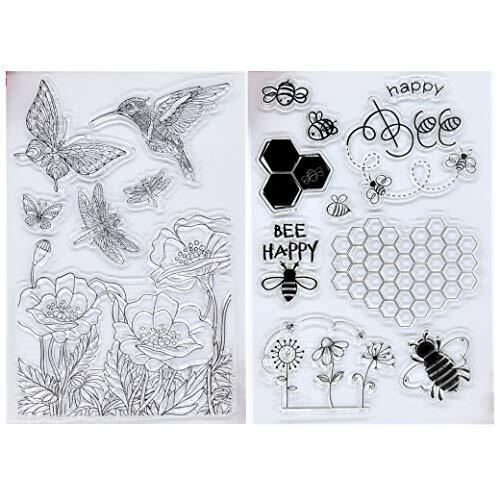 TO USE: Remove acrylic stamps from package and place on acrylic block. We recommend a clear acrylic block with rippled edges for easy gripping. Apply ink and press stamp down on desired page. When finished, clean acrylic stamps with stamp cleaner or mild soap and water. Store in a cool dry place without visibility of direct sunlight as distortion may take place if significantly heated. Stamp staining is totally normal and will not affect lasting use of the stamp. 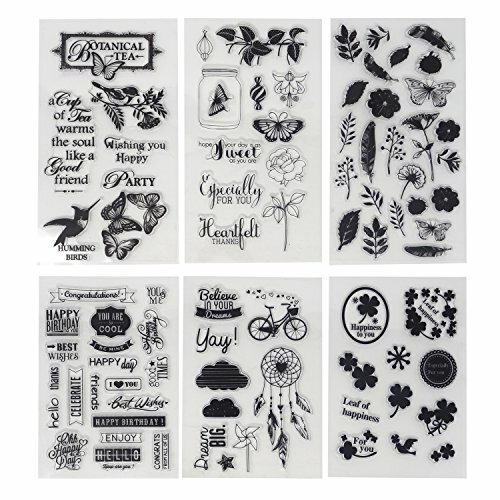 Our decorative clear stamps are easy to use, small, and light and can be stored more easily than multiple wooden stamps. 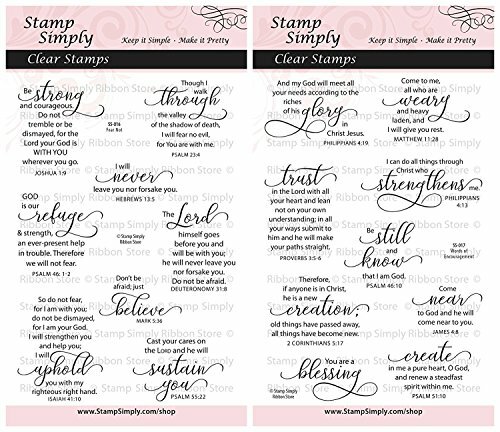 You will receive one Fear Not stamp set and one Words of Encouragement stamp set. Scripture stamps include: Joshua 1:9; Psalm 23:4; Psalm 55:22; Deuteronomy 31:8; Psalm 46:1-2; Mark 5:36; Hebrews 13:5; Isaiah 41:10; Philippians 4:19; Psalm 51:10; Proverbs 3:5-6; Philippians 4:13; 2 Corinthians 5:17; Psalm 46:10; James 4:8; Matthew 11:28. SEND A BEAUTIFUL MESSAGE. The scripture included in this set is intended to promote faith, hope and understanding. ENCOURAGE OTHERS. 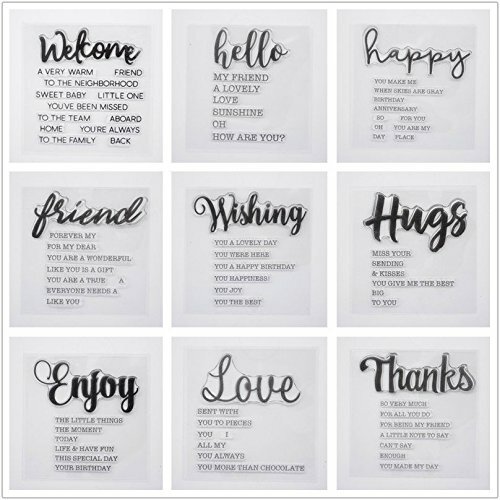 Included are heartfelt sympathy and sentiment sayings, along with inspirational verses and blessings which are perfect for your handmade projects. HIGH QUALITY. Proudly made of durable photopolymer in the USA which easily adheres to any acrylic block of your choosing. Stamps will resist yellowing and withstand many uses. VERSATILE AND DURABLE. Much more adaptable and flexible than rubber stamps and are easy to re-use and are very reliable. Will clean easily with clear stamp cleaner or mild soap and water. Any ink staining is totally normal and will not effect further uses of the stamp. MULTIFACETED AND EASY TO HANDLE. These stamps can be used for any of your crafting projects. Make sure to try them when you are card-making, scrap booking, or bible journaling. 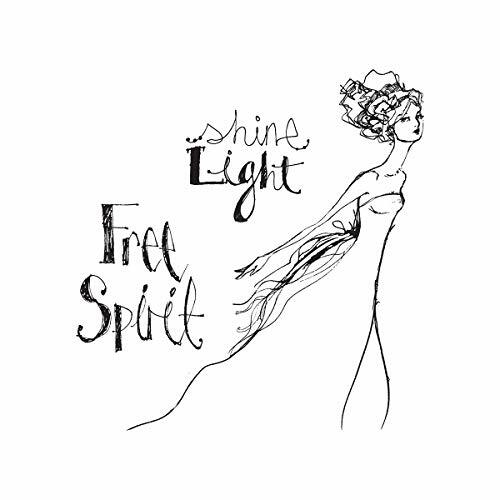 These small, light stamps are easy to store and extremely light which makes for easier, more beautiful projects. Stamp sheet measures 4" x 7" (10x18cm). Total 10 separate stamps. Easy to clean without restrictions. Rub-a-dub-dub, time for fun in the tub! These cute ducks are ready to make a splash in your next craft project. 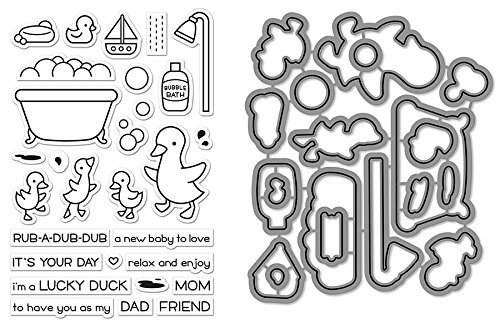 Stamp the duck and babies for a cute Mother's or Father's Day card. Or, create a complete scene with ducks splashing in the tub! 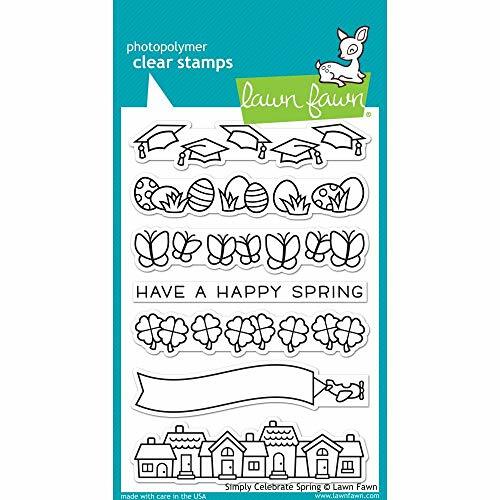 Lawn Fawn clear stamps will not tear and are made from the finest photopolymer, not silicone or vinyl. The dies are made of 100% high-quality steel. Stamps and Dies are made in the USA. Easy to make really fun cards with this cute bundle. Rub-a-dub-dub, time for fun in the tub! These cute ducks are ready to make a splash in your next craft project. Stamp the duck and babies for a cute Mother's or Father's Day card. Or, create a complete scene with ducks splashing in the tub! 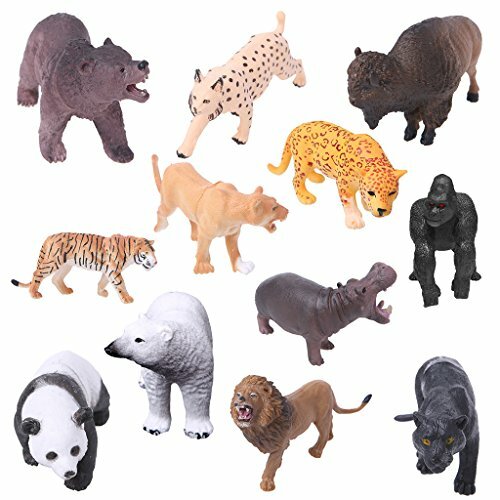 Children's toys, animal models, by these animal models, so that children can learn to know kinds of poultry and improve their abilities to identify. 1.For use on paper, wood or fabric. These are excellent for many different kinds of projects. 4. 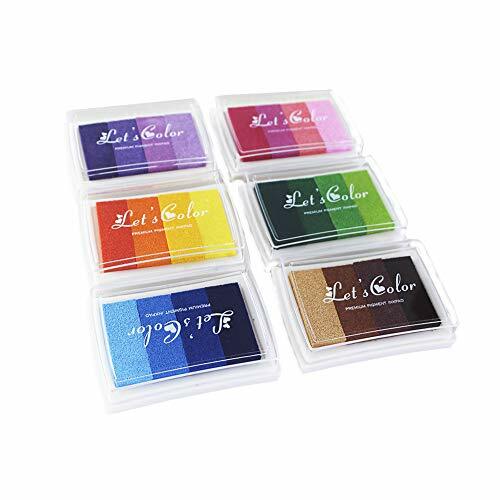 Color for selection:Pink,Yellow,Purple,Coffee,Green,Blue ;Each ink pad has four different colors. 5. Each pad has its own little storage case made out of sturdy plastic. Not only does this keep the ink safely stored but the cases stack very neatly to keep you play or art work area neat and tidy. 24 shades of gorgeous colors in pinks, purples, greens, brown, yellows and blues. There are 6 ink pads with four shades in each. Use multiple colors together or separately. 6 Color indluded as picures, let your kids' fingers painting and DIY craft whatever they imagine. For use on paper, wood or fabric. These are excellent for many different kinds of projects. 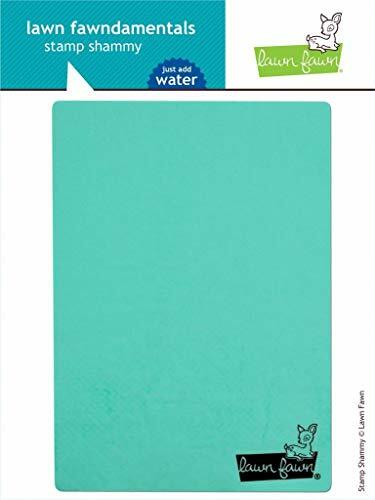 You can use the ink pad DIY for scrapbook, writing a letter, DIY greeting card, making wedding decor. NOTICE:They have a protective plastic film on surface that makes them look as if they have been scratched.Please don't worry. Tear off the protective film. They will be brand new. The clear stamp is designed to be used with an block. Perfect for scrapbooking, card making, gifts, tags, DIY projects, and more! Stamp approximate sizes: eggs: 3 1/2" x 5/8" houses: 3 1/2" x 7/8" "have a happy spring": 3 1/2" x 1/4"
Made with care in the USA! Card samples not included. This purchase gives you one set of Stamp Simply Clear Stamps. 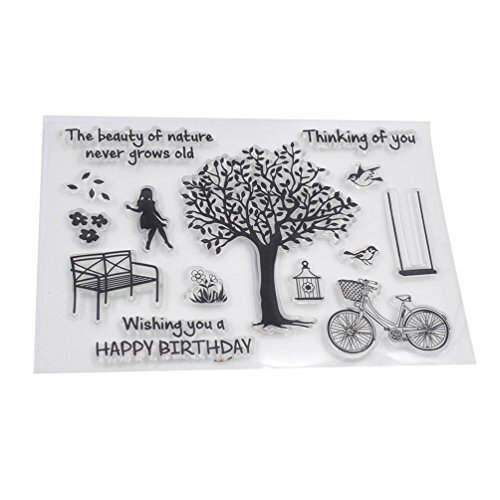 You will receive one 4x6 inch clear set enabling you to create projects simply and beautifully. 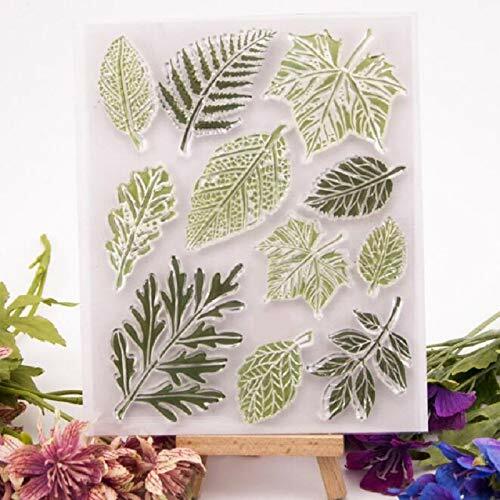 Perfect for cards, scrapbook pages or 3D projects. 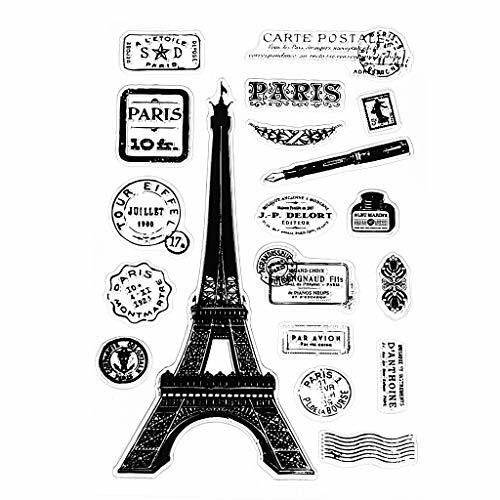 TO USE: Remove acrylic stamps from package and place on acrylic block. 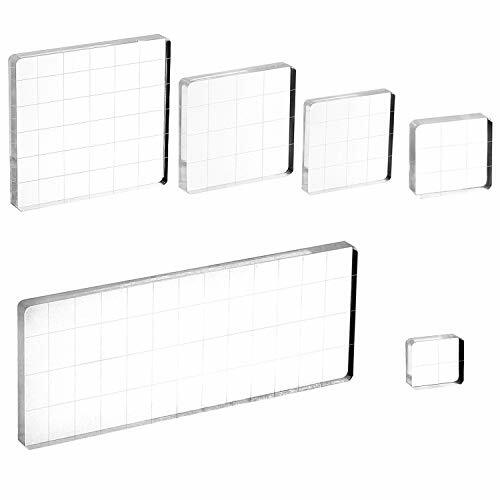 We recommend a clear acrylic block with rippled edges for easy gripping. Apply ink and press stamp down on desired page. 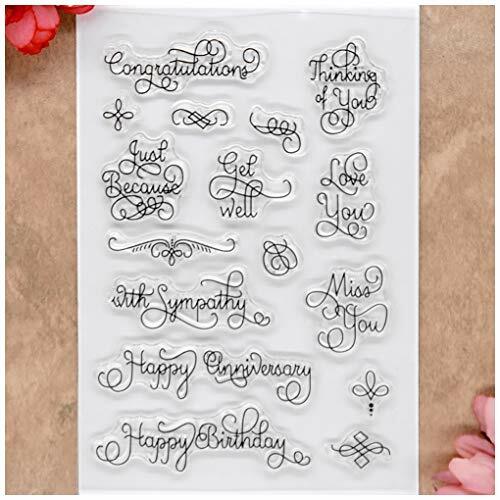 When finished, clean acrylic stamps with stamp cleaner or mild soap and water. Store in a cool dry place without visibility of direct sunlight as distortion may take place if significantly heated. Stamp staining is totally normal and will not affect lasting use of the stamp. 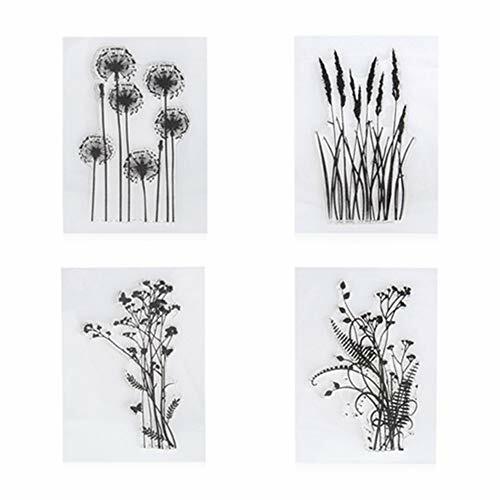 Our decorative clear stamps are easy to use, small, and light and can be stored more easily than multiple wooden stamps. 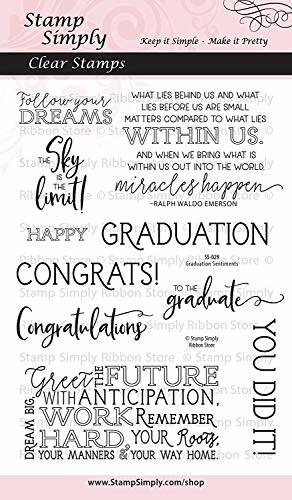 You will receive one Graduation Sentiments Stamp Set. One of the quotes is from the inspirational Ralph Waldo Emerson. CONGRATULATE THEIR ACHIEVEMENTS. Show the academic in your life how proud you are with these beautiful convocation stamps. Congratulate that special someone finishing university or college! SHOW YOU CARE. Any grad will appreciate these lovely sentiments. Inspire and encourage with these hopeful sayings.